Happy first birthday to this blog! Today marks exactly one year since I started the Little Miss Expat Blog!! And I wanted to take some time to reflect on this year and to say thank you to all of you guys. It was a dream of mine to start a blog for a really long time, and more than that I just wanted to help other expats who were going through the same thing I had just experienced. But it took a lot of courage to start this blog and share my writing with others because I was scared of what other people would say and of their reactions to my writing. But I am so happy that I decided to share my experiences on this blog, and your positive responses, messages, and comments have really made it all worth it. Any blogger knows how much time and effort it takes to have your own site. Writing weekly posts, uploading to Instagram every day, replying to comments, taking photos, scheduling collaborations: maybe these don’t sound like hard jobs, but trust me, on top of everyday life, it’s a lot of work. It’s been hard to keep everything up, especially during really stressful weeks, but having an audience as responsive as you guys has made it worthwhile. Knowing that you appreciate my posts and that you like reading what I have to say, as well as inputting your own thoughts, has made me inspired to work even harder on this blog. I know it’s cliché, but we’re kind of like a family. You guys support me in everything I post here, and I do my best to support you guys with my blog posts. I wanted to say thank you to all of you who follow this blog, my Instagram, or my Facebook page because you have allowed me do this, and experience this. Thank you for letting me know when you like something, telling me your own stories, and showing constant support for what I do. Also thank you to my family who always supports my blog, even if I force them to stop and take photos! And to all the companies and brands who have given me the opportunity to work with them. I can not thank you all enough! Okay, so I wrote this post for myself, as much as I did for you guys. Because even though I’ve been an expat for four years now, I still feel homesick sometimes. I like this post a lot because this was raw, it was me thinking about ways to work through what I was feeling, and sharing it with you. I think there are some really good pieces of advice in there. I LOVED this post because there are just so many amazing words in here. I loved writing this one because I got to share some of my women inspirations, and some of the quotes that are the most powerful to me. I would really recommend reading some of the words in this post if you haven’t already. So this post links to my expat story a lot because it has taken a while to settle in and become accustomed to my new surroundings. I finally feel at ease and happy with where I am, and I wanted to share that with you guys. I was so excited about this post, and it was one of the most fun posts to write. Because I am so so passionate about using clean beauty products, and they’re something that has really made a huge difference to me, I wanted to share all of my advice on this subject with you guys. I felt really strongly about this post, as our ongoing environmental issues are something that I do a lot of work to help combat. I’m so happy I could share my message with this audience, as it’s a message that should be heard by everyone. This post was my honest advice, things that I’ve learned through tough times. And if someone asked me to give them just one piece of advice, this would be it. Always be yourself. It’s all explained in this post, and this is the post I would recommend the most if you’re new to my blog. In this one year of blogging, there have also been a lot of times I could celebrate with you guys! From reaching my first 100 followers on Instagram to almost being at 500 now. From going from 5 to 150 followers on the blog. 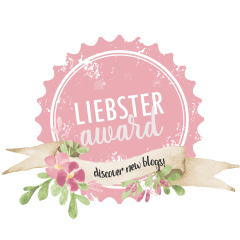 Receiving my Liebster blogging award, working on a collaboration with Little Miss Honey, The Salad Jar, Evolve Beauty, and having my writing published by the Expat Kids Club! (my writing will be live on their site soon) It has been an amazing year for the Little Miss Expat blog, and I owe a lot of it to you guys. So to all of you that read my blog posts, thank you for supporting this journey. It really does mean the world to me.